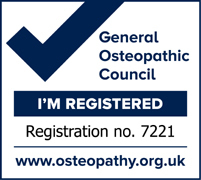 Having not used an Osteopath before I was sceptical but knew the GP would just give medication and no long term support. I was most impressed with the professionalism and knowledge that was bestowed on me. My pain was reduced immediately and continued to improve over a short period of time. I was supported to improve my own health and wellbeing and now feel in control to maintain my own health. If I do have another injury I shall have no hesitation in returning for superior manipulation and comfort. I can’t thank you enough. To my dismay, I injured my back 10 days ago.....a day later, it took me around and hour to get from my bed to the bathroom..... less that 10 meters away. I am due to embark on an arduous trek for charity in three days time. 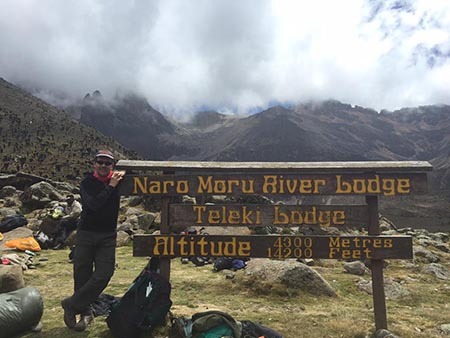 It's been in the planning for about eighteen months and sponsorship has been offered by numerous people for a great cause. In a moment of serious need, Dev found a slot for me in his schedule and has seen me three times since and given me several exercises to do between treatments. Today, I am still aware of the injured area, but am moving freely, in no pain and feel confident that I am now in a suitable condition to complete the trek; albeit, carefully. A week ago I seriously thought I was going to have to withdraw my support for the charity. I can say wholeheartedly that with Dev's expert treatment and knowledgeable support, I am again looking forward to the challenge. "Hi I am Linton Gardiner and I am a young athlete who eventually wants to represent GB as a senior athlete in major championships. I have recently had my first GB vest as a junior and am building on this for the future. Dev has provided me with great support providing me with sponsorship/ advice/ physio and sports massage. Keeping myself injury free in tough Decathlons is key to me being successful, and Dev plays an important part in me achieving this. Dev has made a massive contribution to my recent success". "Dev has been providing support to both me and my son over the last few years. We both train and compete at very high levels, and he has provided excellent support to both of us. His consultations are always very thorough, reflect his expertise as a professional at his level and are definitely value for money. We are certainly happy to recommend his practice." "I badly injured my left shoulder in 2011. A specialist diagnosed a frozen shoulder but the physiotherapy I was given made things worse and also caused me a lot of additional neck pain. I felt I was getting nowhere and was being referred through the system. Being self employed and unable to do any useful work with my left arm was a disaster - Frankly life was gloomy, this was a low point! In July 2013, I went to see Dev Naraine following a recommendation, he was very professional and took the time to really understand the problem and to fully explain the treatment; I noticed a very encouraging improvement after my first visit and the neck pain disappeared almost immediately, which gave me hope. I had weekly treatment for around eight weeks. His treatment and exercise regime started my recovery and made a huge difference to the range of mobility in my shoulder. As forecast, full recovery took months of exercise to rehabilitate my shoulder back to where it was. Dev gave me an accurate diagnosis, gave me hope at a low point, started the healing process and made a real difference. I recommend him without reservation to anyone suffering from this type of problem." "I first started to see Dev in 2007, just before I competed in the World 50K ultra distance road race. As a runner who at the time did 70-90 miles a week, this was a much needed treatment. From the start Dev made me feel relaxed and was very professional. He treated me well, knowing where I had sore patches even before I told him. Dev continued to treat me right up until I competed in the Commonwealth 100K, September 2009, in which I won a silver medal. I think his treatment kept me in good shape and stopped niggles becoming more serious. At the time I was battling with a hamstring problem, but Dev seemed to keep it under control. However after the Comonwealths I took a little break and also stopped seeing Dev. It was then that the hamstring problem became worse and I failed to compete for the whole of 2010. Recently I have started to se Dev again, still with a hamstring problem and I wish I had seen him sooner. I have already seen huge improvements after only two treatments. His facilities are also superb, with a brand new and relaxing treatment room. I have been lucky to find such a talented Osteopath so close to home."